Richard Branson expanded his Virgin business into computer games in the early 80s, initially concentrating on the ZX Spectrum. Within a few years they had an impressive roster of licenses, such as many Taito arcade games and UK publishing of Synergistic titles. The company bought out Mastertronic in 1989, briefly using the name for reissues and Virgin Mastertronic for full-price titles. 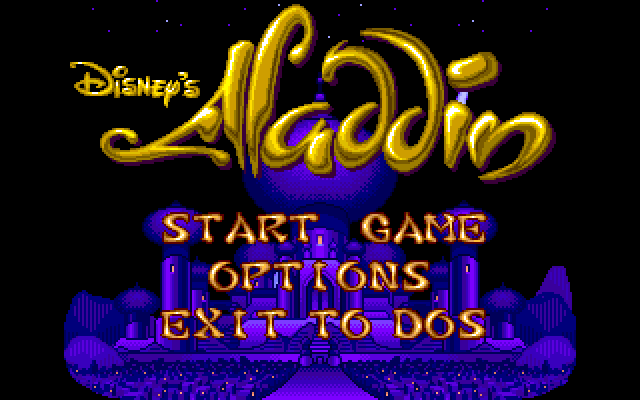 In 1993 they became Virgin Interactive Entertainment, before eventually working with Electronic Arts. Ultimately they were bought by Titus as a subsidiary and the name Virgin Interactive Entertainment was used until April 2003. The name was changed to Avalon Interactive in May 2003 and it was responsible for the European distribution of the group's games. 8/16/2016 10:30:00 PM - Abraao Barbosa Medeiros Muito legal esse jogo, espero curtir muito matando a saldade. 5/3/2014 3:31:00 PM - Yeti How to get the game? Download here is impossible and "buy" button leads to a website where I CAN'T buy (or even find) the game. Abandoned games shouldn't be sold again (or at least as new version - but the original last old version should stay free). 10/12/2013 6:51:00 PM - bre why isnt it working? 2/26/2013 9:52:00 AM - shiva chaitanya hi friends..
2/21/2013 12:22:00 AM - Nick remember completing this when i was about 8! 12/20/2012 10:03:00 AM - FreeGameEmpire Considering latest questions and email I write a reply here for the wider audience. This game is unfortunately no longer available for play or download on our site because it is being sold by its rightful owner or protected in any other way. We will host this game again once it became abandoned again. 11/28/2012 4:42:00 AM - Naveen Could anybody guide me how to download this game.... I'm eagerly waiting to play. 11/1/2012 3:40:00 PM - arslan my name is arslan. 10/18/2012 10:58:00 AM - sks... nice game..
10/17/2012 4:23:00 PM - Zain Want to play this Game ? 6/12/2012 1:46:00 PM - Mukul Agarwal I really like it. 6/6/2012 5:53:00 AM - Wakidi god job..
5/6/2012 8:23:00 AM - chandra bhushan i like it too much. 5/5/2012 8:27:00 AM - Aishwarya Katiyar Its an awesome game. 5/1/2012 9:57:00 AM - saravanann chinna vayasula veetla kasa attaiya pottu game centre-la vilayntadhu..
4/5/2012 10:31:00 AM - vicks cool game!!!! 4/1/2012 12:53:00 AM - Tamal i like this game. 3/19/2012 6:27:00 PM - help how does it start? 1/28/2012 11:47:00 AM - error : this system does not support fullsreen mode. how can i fix it? 1/14/2012 9:24:00 AM - muskan singh. it is a fantastic game . 11/15/2011 12:41:00 PM - vignesh ohhhh!!!!!!!!!!! 11/1/2011 12:24:00 PM - jelly akki is ma hubby name. Who r u akki? 10/16/2011 3:57:00 PM - FreeGameEmpire The game should run on all Windows OS. Please check the instructions following the Play NOW button or our FAQ section. Eventually, you can start a new thread in a Technical Issues forum. 9/10/2011 9:54:00 AM - Tushar Such this is a mast game. 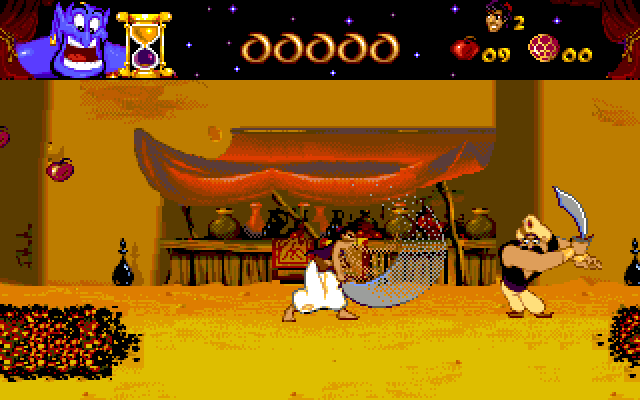 7/7/2011 4:23:00 AM - RUKU HOW TO DOWNLOAD THIS ALADDIN GAMES ON MY PC I WOULD LIKE PLAY THIS GAMES. 6/19/2011 10:56:00 AM - FreeGameEmpire Please setup your browser and security as described in our FAQ or use a Firefox browser with click-once plug-in. You can also download the game directly clicking a Download button. 6/18/2011 9:50:00 PM - Kazumi I'm Trying, I did the steps but after the emulator installed, nothing new seemed to appear or change. Please if there's a way you can send the game to me "Kazumi_Kimura@yahoo.com" I'll be grateful. 5/11/2011 10:48:00 AM - how would I save this game? 4/15/2011 6:30:00 AM - sham the great game "
2/26/2011 5:28:00 PM - Ruchi game is extremely exciting for all age groups but unable to save it! 2/24/2011 8:17:00 AM - Sumbal there is no way to save this game how could i save it? 2/16/2011 9:10:00 AM - FreeGameEmpire As far as I know, there is no way to save/load this game and it was designed this way. This is the reason, this game is marked as very frustrating by some reviewers. 2/15/2011 9:41:00 PM - Digitron Great old game! ANYONE KNOWS IF IT'S POSSIBLE TO SAVE THE GAME PALYING IN BROWSE WINDOW? (Can't play download version on WIN XP Pro 64-bit). 1/10/2011 7:36:00 AM - s is it the full game? 11/6/2010 5:25:00 PM - Joshua Is there any form of save game? 10/2/2010 6:54:00 PM - Ashu re lived old memories!!! 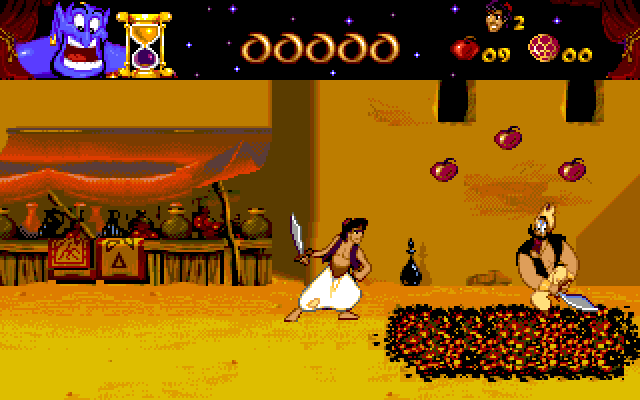 i love these games-- aladdin, prince, skyroads, lionking , dave..
9/19/2010 4:44:00 PM - samer how i can kill the snake? 7/18/2010 2:03:00 PM - Camilla I love this game! 6/28/2010 10:14:00 AM - Arrow? It's a fantastic game, but the arrows are not working in the carpet-level.